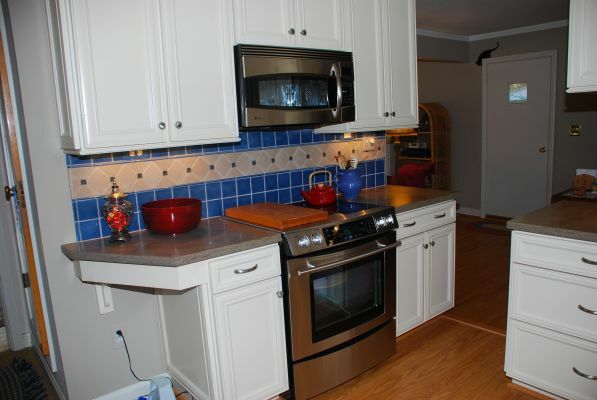 Mountain Creek Kitchen and Bath arrived on the scene and renewed Mrs. Wallace’s outdated kitchen! By removing a wall, Mrs. Wallace now has that larger feel she was looking for. We made her new kitchen very functional, giving her large “pots and pans” drawers, a lazy susan, and a single unit range instead of the original two separate units. 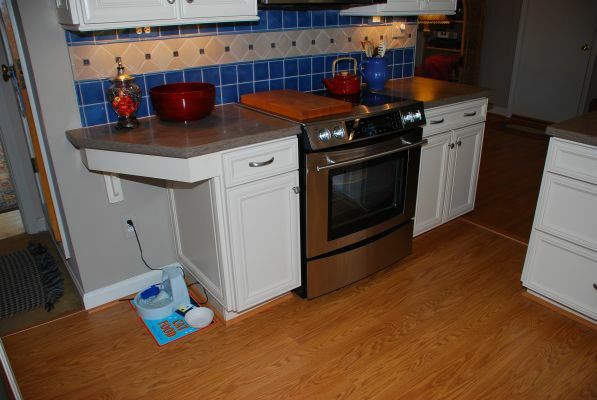 We were even able to set aside a small dining area for her kitty! 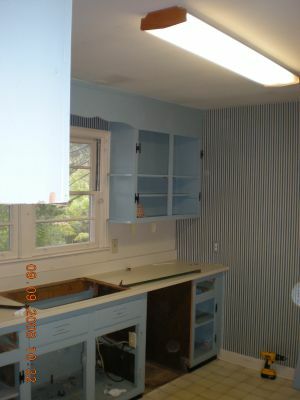 Mrs. Wallace came to us in need of a kitchen update. 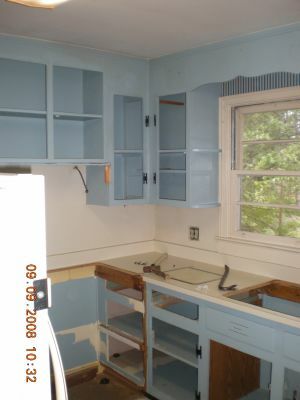 She still had the original, outdated kitchen in her house from the time it was built – 50 years ago. 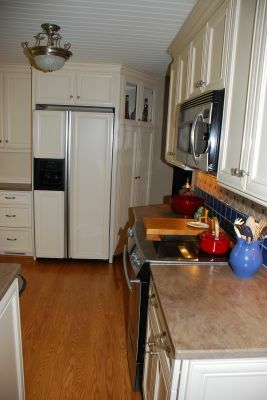 What Mrs. Wallace was looking for, in addition to the obvious need, was more storage space. 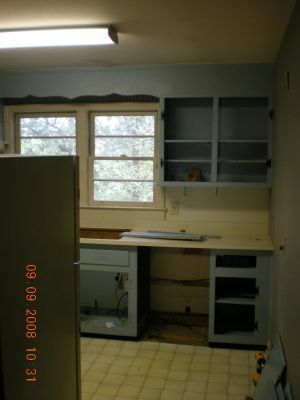 Her kitchen appeared very small, had a separate oven and cooktop, and was not laid out ease of use.